While it’s important to increase the stock of purpose-built rental buildings in the city, it’s also important for those buildings to be well managed. Sawatzky spoke in support of the CRB program alongside LandlordBC CEO David Hutniak, Vancouver-West End MLA Spencer Chandra Herbert and Paul Sander, director of Hollyburn Properties, an early adopter of the program. 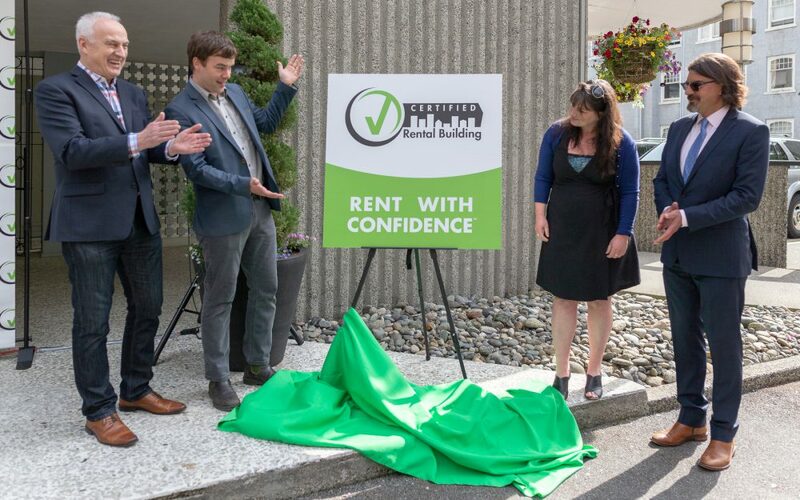 Hollyburn recently completed certification on four more of its rental buildings. Now, Hollyburn has certified 49 buildings, representing 3,272 units.